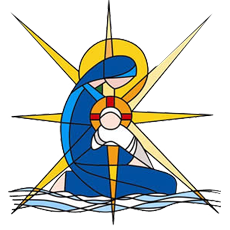 Our Lady Star of the Sea have a committed and effective P & F association who work closely with the school to promote parental engagement and involvement in our school community. Thank you to all who attended our first P & F Meeting for the year. Our next meeting will be on Friday 24 May 2019 at 9am. Our email address is olsospf@gmail.com. Please contact us at any time to raise a topic for discussion and/or add items to the P & F meeting agenda. We understand that as new parents to the school, or even as existing parents you may be wondering what the P & F is about, what we do and who we are. The P & F follows the constitutional guidelines of the Diocese and supports the social, material and educational well being of the community. 1. Children do better at school when parents are engaged with their child’s learning and wellbeing both at school and at home. 2. Parents should be partners with schools in their child’s learning and that education is a shared responsibility of schools, parents and communities. Very simply, the P & F is a group of parents and carers that meet once a term to look at ways that we, as a collective parent community, can work together to achieve the above. 2. Sharing information on how P & F funds are raised and spent. By us all working together we continue to build on the great community spirit that our school is known for. These positions are volunteered for and elected at the end of year P & F AGM. In 2019, we are very fortunate to have filled every position. Please click here to fill in a nomination form if you are interested in any of those positions for 2020. The P & F Executive committee also forms part of the Parent Council group.